← Take a Walk on the Wild Side! Place the fish in a shallow bowl and in a separate bowl make the marinade. Mix half the oil, green chilies, lime juice and rind, and fish sauce together and pour over the fish. Cover and chill for two hours. Put the noodles in a bowl, cover with boiling water and leave for 8-10 minutes (or check your package instructions). Drain well and set aside. Heat the second 2 Tbsp of oil in a wok or large skillet and sauté the shallots, garlic, and red chili until lightly browned. Add the soy sauce and the chili sauce. Then add the fish with the marinade to the wok and stir fry gently for 2-3 minutes or until cooked through. Add the drained noodles and stir gently. Mix in 1 Tbsp or cilantro and serve immediately. 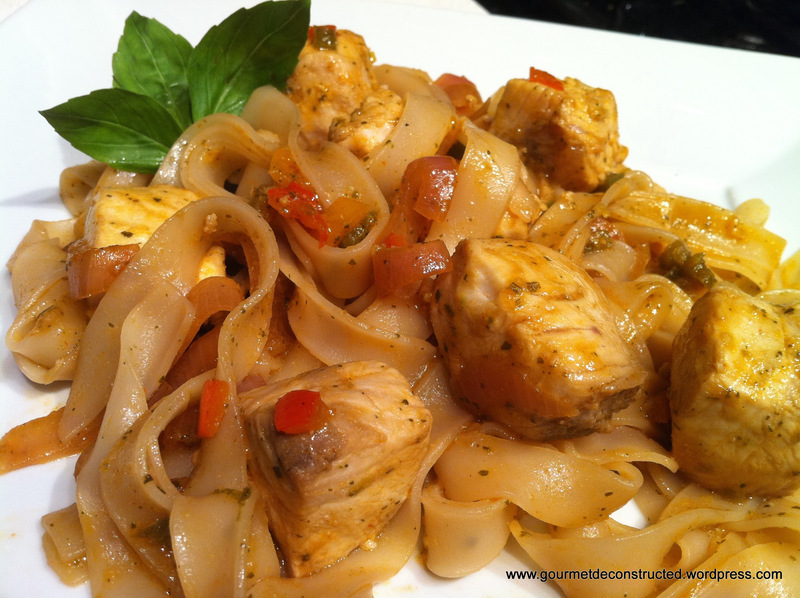 Posted on December 13, 2011, in Seafood and tagged fish, rice noodles, seafood, stirfry, Thai. Bookmark the permalink. 2 Comments. I followed the recipe exactly but used fine noodles and added a chopped up Serrano pepper. This is a killer recipe. Wonderful flavors and nice and spicy.